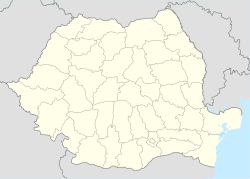 Otelec (Hungarian: Ótelek) is a commune in Timiș County, Romania. Established in 1856, it was abolished in 1968 and absorbed into Uivar. It was recreated in 2008. The commune is composed of two villages, Iohanisfeld (Jánosfölde; German: Johannisfeld) and Otelec. Under the communist regime, Iohanisfeld was named Ionel, which remained official until 2008. At the 2011 census, 59.3% of inhabitants were Romanians, 39.6% Hungarians and 0.7% Germans.